At Christ Church Chilwell we believe we are God’s representatives in our community and in our world. We support three mission partners and several other local and national organisations or projects through prayer and financial giving. For more information about mission prayer meetings please contact Mary Stanley, Chair of the Mission Committee (stanley@mary62.orangehome.co.uk). Christ Church supports Mark and Emma and their two children living in London and working with Operation Mobilisation. 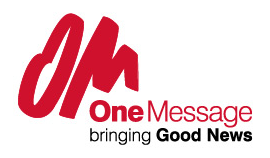 OM Turning Point’s aim is to mobilise and equip the church for Church Planting among Middle Eastern people living in London and the World via Global challenge teams, Global action teams and long term missionaries. For more information see www.uk.om.org. The vision of Wycliffe Bible Translators is that all peoples would discover the Bible for themselves in a language they fully understand. There are an estimated 180 million people without access to any Scripture in their heart language. 1.5 billion people are without the full Bible in their first language. For more information see www.wycliffe.org.uk. APT works to bring the transforming hope of the gospel to some of the neediest communities in Burkina Faso. Working with local church partners we seek to bring the gospel to unreached peoples; bring God’s love in practical ways through poverty relief, clean water, health, education, and community development; and train, mobilise, resource, and equip the local church for mission. For more information please visit www.aptburkina.org.uk or contact Paul Kirkwood (Paulk2013@talktalk.net). Our vision is a world in which older people flourish. Our mission is to enhance the quality of life and promote the health and wellbeing of all older people in Nottingham and Nottinghamshire. For more information see www.ageuk.org.uk/notts/ or contact Mike Chapman (Doc2014mac@virginmedia.com). The Canaan Trust, an independent Christian Charity provides safe secure and healthy supported accommodation for homeless males aged 16-54. Based in Long Eaton, Nottingham the Trust serves the needs of homeless men from all parts of Derbyshire and Nottinghamshire. For more information see www.canaan-trust.co.uk or contact Dianna Ross (Dianna.ross@infologistix.co.uk). 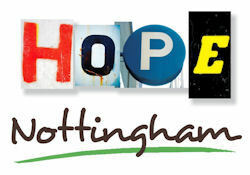 Hope Nottingham is a Christian charity, working with local churches and community groups to serve those in need in neighbourhoods all around Nottingham. Hope House in Beeston is a one-stop community support centre, working in partnership with many local agencies, to provide a place of trust and transformation for local people. Director of Hope Nottingham, Nigel Adams, regularly worships and preaches at Christ Church. For more information visit www.hopenottingham.org.uk or contact Nigel at nigel@hopenottingham.org.uk. 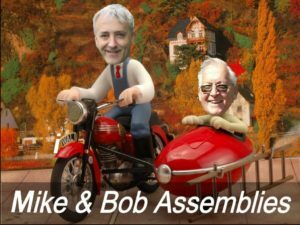 With 35 schools on the books, Mike Abel & Bob Epton (‘Mike n Bob’) are kept busy taking school assemblies in three counties. They bring Bible based stories & parables to 7000 Primary school children in a fun and relevant way using cartoons and silly voices. Their aim is to contribute to the social and spiritual needs of the school and they emphasise the love of God for each child. For more information or a prayer letter please contact Mike at abel.mike-ang@talk21.com. Springs Nottingham runs a Centre for adults and young people with learning disabilities and people who are on the autistic spectrum. Visitors can try a range of activities in our specialist facilities including Arts and Crafts, a Sensory Room, a Computing Room with music recording, a Quiet Room, cooking in the Kitchen, a snack area, Soft Play, Woodland activities in a Large Oak Woodland and Gardening in the Field. People visit with their carers, family members or support staff. To book a visit or look round please ring Audrey on 0756 8087771 or email springsnottingham@gmail.com. For more information see www.springsnottingham.org.uk. The aim of the Nepal Leprosy Trust (NLT) is to work with people affected by leprosy, as well as other disabled and marginalised people in Nepal, by offering holistic support without discrimination. They seek to serve and empower such people with love, just as Christ does for us. Learn more at www.nlt.org.uk or contact Liz Jordan (trustee) and Dave Wooldridge at jordridge@hotmail.com. Nottingham Youth for Christ aims to take the good news relevantly to every young person in Nottingham by serving local schools and churches, as well as connecting with young people via various sessions throughout the week. They also produce resources which can be used by partner organisations. As a long term partner, Christ Church has supported and welcomed workers from YFC into our local community, benefiting our young people greatly. The focus of YFC is now reaching young people in the city who have never encountered Jesus. For more information see www.nottinghamyfc.co.uk.